The school holidays are only half way through and you're already struggling to keep the kids entertained! Enter, our week two Multi-Sport clinic to save the day. 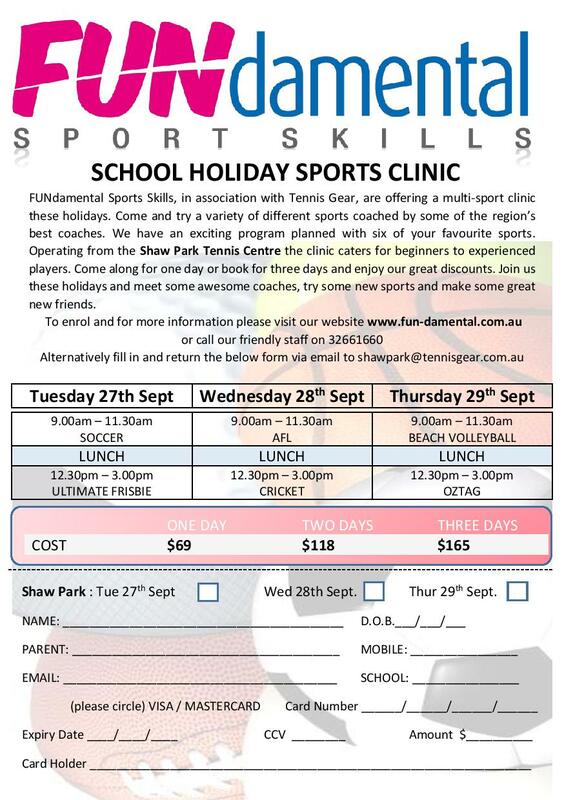 They will enjoy a full day of fun from 9am-3pm developing new skills across a variety of sports including Soccer, Basketball, AFL, and Cricket. Shaw Park Tennis Centre will be holding a full day of tennis on Monday 26th followed by a Multi-Sport clinic from Tuesday to Thursday 27th-29th. Holiday clinics are the perfect way to get some additional practice over the break and keep the kids entertained. They also act as an excellent introduction to the sport for those who have never played before. We cater for all levels of player between 4 and 17 years. Book them in for multiple days and enjoy huge savings! Click the links for our tennis clinic enrolment form or multi sport enrolment form. These can be returned to the centre by email or you can simply phone the enrolment through by contacting 3266 1660. 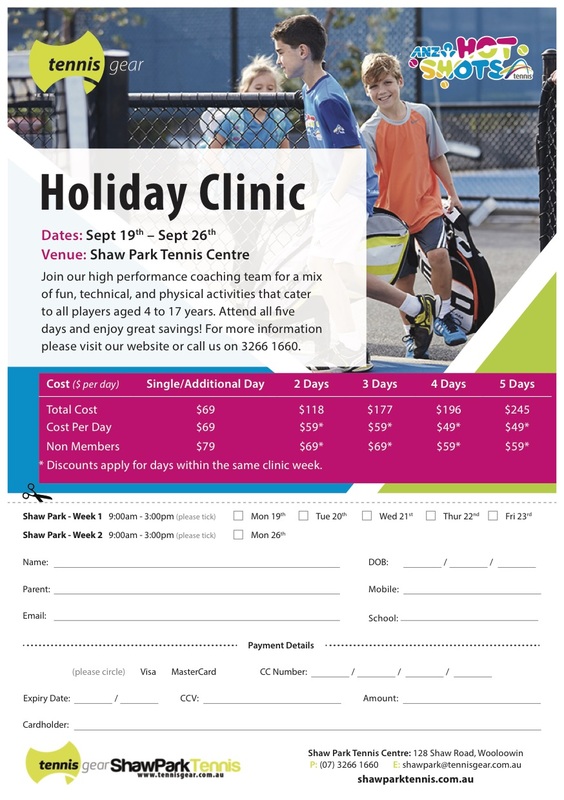 For more information, call our office or visit our website at www.shawparktennis.com.au.